Family owned and run, The Dysart Petersham is driven by a guiding family view, firmly rooted in the shared values of the lead team of manager, Barny Taylor, and Head Chef, Kenneth Culhane: passion for food and wine, commitment to quality ingredients, responsible sourcing, belief in the value of tradition and the role of food, wine and welcome in conviviality. Both are constantly inspired by our surroundings in this country village half an hour from Mayfair and the always beautiful changes it sees through the seasons. the role of beauty in enriching life. Whether one agrees, or not, this is a wonderful summation of all we hope to help achieve across all the arts, food, wine, music , artworks, nature, conviviality, good company and conversation, with pleasure for all the senses. Barny was raised in Petersham, married in Petersham, their daughter born in Petersham. He enjoys being part of the village and the golf club, unwinding on the lovely local course. 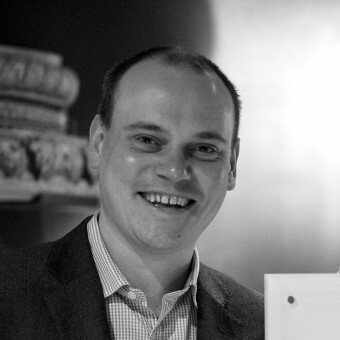 A former pupil of Westminster School, he has a degree in music and performance of the clarinet. Barny has made music a part of the character of The Dysart Petersham, choosing our grand piano, working with international concert pianists and instrumentalists to create the programme of monthly recitals and of understated piano or classical guitar music which often provides a background to dinner. Barny also uses this programme to help our contributions to local charities. Kenneth, brought up on a farm in deepest SW Ireland near the sea, steeped in the unchanging cycle of traditional farming, has moved from science initially to cooking, learning his craft with some of the world’s finest chefs, Guillaume Le Brun at Patrick Guilbaud in Dublin, Maître Cuisinier de France, Pascal Bouvier at Le Choiseul in the Loire, each a 2-starred Michelin chef, and with Tetsuya Wakuda in Sydney, with 3 Hats. 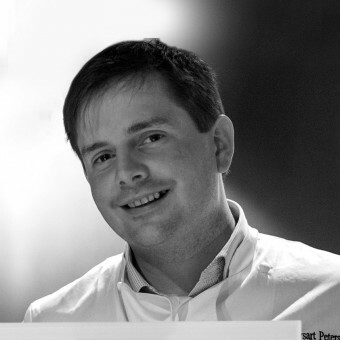 In 2010 he won the Roux Scholarship, making him a member of a small and very special club which comes together every year with Michel (Senior and Junior) and Albert Roux for a culinary exploration. Recent visits were to Japan and the vibrant food scene of New York, from street to the most rarified cuisine. Ken and the other Roux Scholars regularly get together under the eye of Michel Roux to design, buy the ingredients for and prepare a banquet to raise money for a charity, for example recently taking over the kitchens of The Mandarin Oriental in London and Tokyo. Both Barny and Ken are keen communicators. Both want to make guests happy. Barny is never happier than when meeting people, showing a nature board, explaining the ingredients, the flavour balances, the cooking methods, sourcing and traditions to those who want to listen, encouraging tasting raw before eating cooked – and why a particular wine is so good with them, often a surprising wine, but has the sensitivity from experience to know when guests simply want to enjoy the company, the food, the wine, the hospitality – the occasion. Both love good food, good wine, welcoming guests and friends around a good table. Barny’s wine pairing skills and Kenneth’s classical cooking skills and refined judgement and creativity in flavours are a good partnership. There is a natural affinity between them, creating an instinctive and self-supporting team. Preparing for the regular wine dinners always causes excitement, together tasting and selecting the wines with the maker, deciding on flavours and suitable matches together and then arriving at a menu and wines which sing together. They are supported by a wider team, front of house, behind the scenes in the kitchen, gardener and forager, an increasing number of individual farmers, cheesemakers, winemakers and specialist producers. All love the moment when new ingredients arrive each day, freshly gathered to influence the dishes. Barny and Kenneth were delighted to be invited to join Jeunes Restaurateurs d’Europe, founded in 1974, in establishing an UK and Ireland association within the European JRE. This was launched by the JRE international president, 2 Michelin Starred Chef, Ernesto Iaccarino at a press conference in the Royal Academy, which also launched the English translation of Andeas Döllerer’s cookery book, ‘Cuisine Alpine’ ; more than just a celebration of food, all about life, place, commitment, core values shared by us. The World Gourmet Society has held a number of dinners hosted by Barny and Kenneth here at The Dysart Petersham and the pleasures and quality of these, along with the growing understanding of our shared ideals, prompted this invitation. 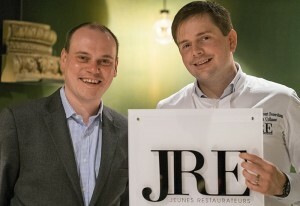 Membership of JRE is open to young chefs and restaurateurs. Illustrious members include Emanuele Scarello, 2 Stars, Nils Henkel, 2 Stars, Elena Arzak, 3 Stars, Alfred Prasad, the first Indian chef ever to be awarded a Michelin Star, Thomas Dorfer and Andreas Döllerer of Austria, each 18 GaultMillau, to name only a few. a ‘Never-Ending Passion’ for innovation, imagination, inspiration, love and care for food and where it comes from, sustainability, biodiversity, honour to cultural heritage through modern food preparation, eating well, sustainably and healthily, creating dreams, emotions and a sense of magic, in essence bringing passion to the enjoyment of life and joy to guests. It could not be closer to ours. The Dysart Petersham is an Arts and Crafts building from 1904 which used high quality building materials, with a wealth of beautiful woods. It has been restored to lend emphasis to as many of the original features as possible, particularly the wood, and with simplicity of decoration to let the original detail speak for itself. In so many ways the Arts and Crafts movement at the turn of the nineteenth century enshrines the love we have for individual craftsman, fine materials, beautifully composed and innovation, founded on tradition. The oak bar was not original, but had been in the building for some time. We retained, simplified and restored it when we discovered it had been bought in the 1850s from decommissioned Napoleonic period warships. The main rooms face south over Richmond Park, with radiant views and are full of sun and patterned reflections of the lavish greenery outside through the leaded glass. On the colder days of the year we have a large log burning stove. Jackie Taylor also brings nature and our surroundings into the Dysart Petersham, dressing it simply and naturally, using as many as possible of our flowers, cultivated and wild, combining them with the changing foliage around us, from the first Spring buds, blossoms and vibrant green leaves, through the abundance of late Spring and Summer, the richness of Autumn to the marvellously structural bare twigs and branches of Winter. These are created with the essential beauty of the building in mind, with a thought for the relationship between building, garden and surroundings that was important to Arts and Crafts. It was Jackie who created and has nurtured the garden at the front which has done so much to anchor the building happily in the village scene. We have planted our garden to provide a fitting setting for this handsome Arts and Crafts building, with its oak beams and decorative carvings, blending it naturally into the village and the landscape of Richmond Park. South-facing and sheltered, it captures the sun, with dappled shade provided by the trees. We manage it naturally, without chemicals. On the warm days of late Spring, Summer and early Autumn it becomes an outdoor dining room, for lunch or dinner, candle-lit in the evening, with shawls for the ladies as the evening progresses. We take bookings for the tables and provide full table service. We keep a table inside too for every reservation, just in case of unexpected Summer showers, or the chill of late evening. When we have a pianist at our grand piano, or a classical guitarist, in the evenings the music wafts gently through the open windows, or our guitarist plays in the garden. The garden always has something to provide us with flowers and foliage to add to the flowers in the building. There is always something of interest from first fresh greens and blossoms to the skeletal intricacy of Winter. Part of the garden can be reserved for private dining or receptions, independently, or in conjunction with the private dining rooms upstairs. Jackie has devoted a corner of our garden to meadow flowers with seeds sown and plugs planted each Spring and as hoped with an increasing number of so called ‘weeds’ plants self seeding or now established. We have enjoyed an abundance of wild flowers/weeds, including: Cornflowers, Fairy Toadflax, Tickseed, Corn Marigold, Black-eyed Susan, Red Orache, Larkspur, Shirley, Californian poppies, salad burnet, white campion, bladder campion, devil’s – bit scabious, harebell, wild marjoram, yarrow, dropwort, clustered bellflower, lady’s bedstraw, wild carrot, cowslip, meadow cranesbill, and field scabious, along with oxeye daisy plants. It does not look much in the Autumn and Winter, but it is a delight to see the pleasure this planting gives to so many people, adults and children alike, over the warmer months and to spot the first bees attracted by the flowers. It is a quiet pleasure to see parents’ showing and explaining the flowers to their children. We would like to thank all the people, local and visitors, who stop to look at the changing kaleidoscope of flowers and who write or speak to us about the pleasure they give. Many local people have said to Jackie that they have been inspired by this to sow wild flowers in their garden. This is truly exceptional countryside in Town. Petersham remains in character a country village, in a country setting. In front of us there is Richmond Park, beside us there are the Petersham Woods. Behind us there are the water meadows, with cows grazing from May to October, and the River Thames, leading to the Carolian avenues of Ham House and the wild flower haven of the Ham Lands. We are surrounded by beautiful trees, in all directions. It is possible to wander through these spaces and the woods in a rural and village environment. 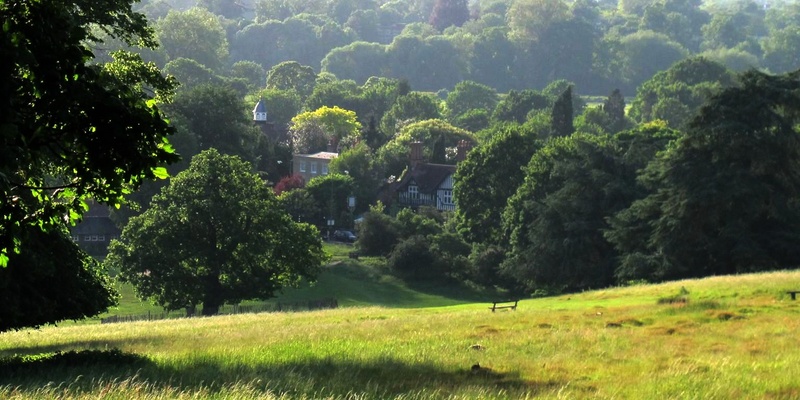 Because of this special place, there are many calm and beautiful walks through Richmond Park and Petersham, which seem as though they are part of a different world. The two walks we show are special, in all seasons and in all weathers, though we show them in Spring and Summer. 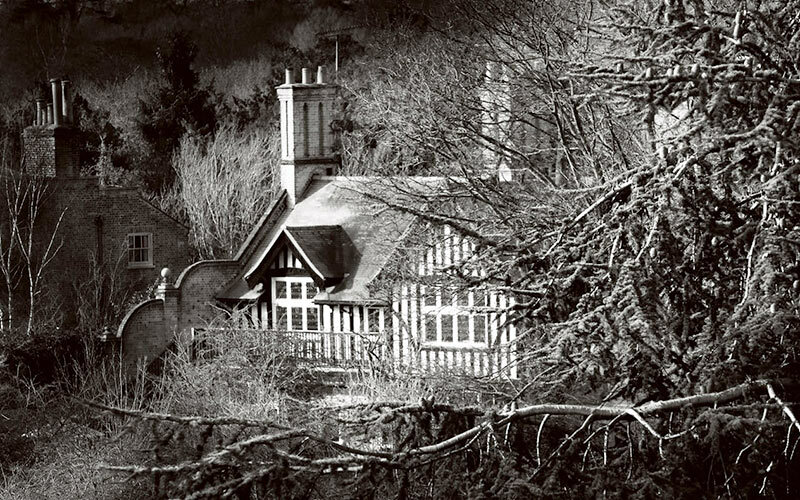 The view of the Dysart Petersham down from the top of the hill in the Park, whether through the frost-encrusted branches of Trevor Aston’s photograph in the depths of frosty Winter, or in the high Summer photograph, shows the breadth and scale of this beautiful landscape, with its ancient village church, itself unique. Click here to see this photograph.